National Geographic's Top 20 Dream Hikes is a compilation of some truly spectacular long distance, endurance testing, intense hikes and treks. Some are extreme, such as a nearly 2000 mile through hike in New Zealand. Some are a bit more manageable, like a 40 mile through hike in Tasmania. If you’re inspired, for many of these hikes there are professionally guided trips available, or similar variations. See below and enjoy. 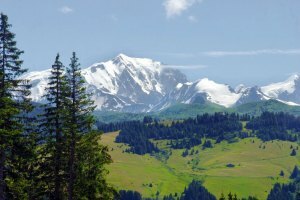 Beautiful Switzerland comes alive when you visit Mont Blanc. 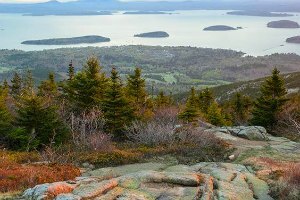 Numerous hikes are offered in the region, so you’re sure to find something perfect for your travel style. 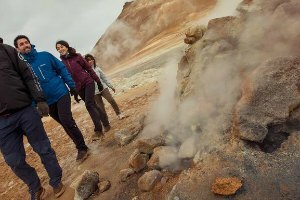 Any trekking experience in Iceland is sure to provide a powerful glimpse into the country’s stunning landscape and ecological diversity. Laugavegurinn is 34 miles, with an optional extension to Skógafoss waterfall, which adds an additional 15 miles. 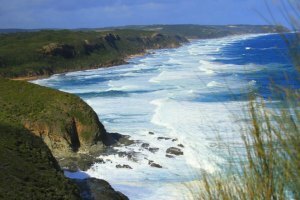 This impressive though hike goes from the tip of New Zealand’s North Island to the tip of the South Island - 1894 miles. 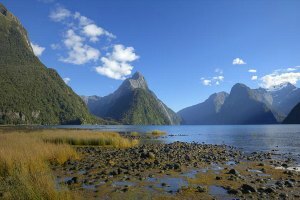 If that sounds like a little much, many hiking tours in New Zealand will traverse different parts of this route. Just in time for the beautiful New England autumn! Head east for spectacular colors and crisp weather - the perfect outdoor activity in preparation for winter. One great thing about a guided hiking trip is the added context to various historical sites along the route, going to quirky local establishments, and learning about the many species of plant and animal wildlife while you see them up close. This challenging trek hit the world stage after Cheryl Strayed detailed her strenuous journey along it’s path. The 2,650 mile stretch reaches from the Mexican border to the Canadian border. Strayed’s perseverance has inspired many to have a go. 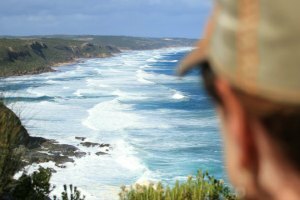 However it’s quite a commitment, and if you’re looking for less strain, there are multiple shorter hikes along the famous coastline where you can still take in the beautiful views and feel an invigorating sense of accomplishment. 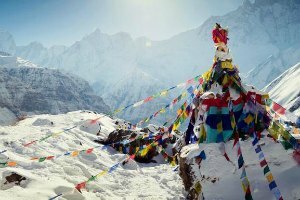 Everest base camp is a classic bucket list item for many. And it is quite achievable, while still being an impressive challenge. Many tour companies offer a version of this trek. 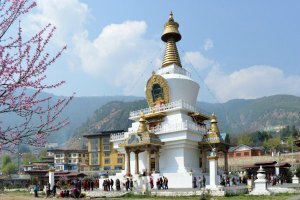 Guided and small group tours in Nepal are a great way to go, not only for the moral support, but for the inclusions like pre and post accommodation, local contacts, and trusted sherpas. The Snowman Trek is often called the most strenuous of multi day treks in Bhutan. For an equally remote, but perhaps more manageable and enjoyable experience consider this tour with Myths & Mountains - who are well known for their tours in this area. Tasmania is still a largely un-traveled to pocket of the world. And island off the southern most tip of Australia, it's a trek just to get to! But if you get the opportunity to go and take in its incredible nature and wildlife, don’t pass it up. At 40 miles, the overland track in Tasmania is shorter than many through hikes. But if you have limited travel time, consider an abbreviated version with a walking tour. 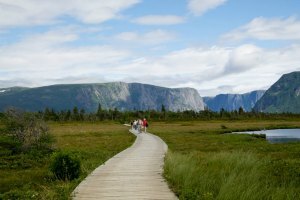 This unofficial trek takes you through the Gros Morne National park - a beautiful environment teeming with wildlife and tremendous views. Experience the best of the Canadian wilderness as you explore - and have your camera ready for a glimpse of caribou! This is a much lesser known way to get to Machu Picchu - still in the shadows of the more popular Inca trail treks. Thus Ancascocha is not nearly as densely populated with trekkers, but it's also harder to find guides. If you’re looking for a less crowded way to get to Machu Picchu, consider a small group tour along the Salkantay or Lares trek. Ready to strike out on your own exciting hiking trip? Start your search below, or see a full list of All Guided Trekking Tours. I recently had an opportunity to take the Ancascocha Trek with Action Peru Treks (www.actionperutreks.com). This experience deserves a top rating on both counts. 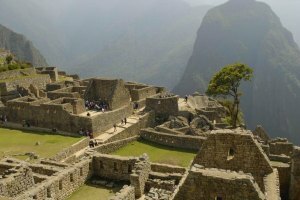 First, the experience: I first contacted Action Peru Treks with an inquiry about the Classic Inca Trail trek. Fortunately for us the permits were sold out for the Classic Inca Trail, and we decided to take the Ancascocha Trek. I say “Fortunately” because I believe we had a much better experience on this route than we would have on the Classic Inca Trail. The scenery was spectacular and just kept on being spectacular day after day. We saw several very rural communities, and we were the only trekkers on the trail other than at the start and on the last day (when the route does overlap the Classic Inca Trail). And on the last day we still got to visit Macchu Picchu and climb Huayna Picchu. Second, the company: Action Peru Treks hit the right tone perfectly, being both relaxed and fun to be with, and still completely on top of things so that everything on the trek went without any problems whatsoever. The good experience started with their responsiveness to our initial inquiries and any questions we had prior to our trip, thanks to Allie, their support person in Cuzco. Our lead guide, Roxner, also came to our hotel in Cuzco and met with us prior to the trek. We are accustomed to backpacking in Alaska where we do everything for ourselves, but I have to say that it was nice for a change to have a crew of five helping our party of three (myself, my wife, and our teenage son). We were able to focus more on exploring and enjoying the scenery (and on managing the two 14,000 – 15,000 ft. elevation passes that one goes over as part of the route). The crew included Roxner as our guide, William as our cook, plus an assistant cook and two horsemen. Other postings on Tripadvisor have said lots of positive things about Roxner, and I agree. William turned out miraculously great meals three times a day.